‘Denial’ and ‘rejection’ are two words that no physician wants to hear. Yet, the unfortunate reality is that many physician practices lose money every day to claims that fail to meet payer requirements, Yvonne Dailey, CPC, CPC-I, CPB told attendees at the 24th annual HEALTHCON conference sponsored by the American Academy of Professional Coders. The conference, held in Orlando, Fla. last month, drew nearly 2,700 medical coding professionals. During a presentation about denial management, Dailey spoke about how denials and rejections have only increased over time due to the increase in the number of carriers nationwide, each of which has its own nuances and rules for payment. Dailey helped attendees understand the financial impact of denials and rejections. She provided a scenario in which a practice bills 90 claims per day at an average rate of $105 per claim totaling $9,450 of income. With an average denial rate of 10%, this practice can expect a revenue loss of $945 per day, she said. Multiply this amount by 240 working days per year, and the practice will see a $226,800 financial loss annually due to denials if claims are not appealed and/or corrected and resubmitted. Dailey said that 90%-93% of rejections are due to preventable data entry mistakes such as transposing numbers or misspelling names. She urged attendees to pay careful attention to demographic information. Something as simple as recording a patient’s name as Bob instead of Robert (as it appears on his insurance card) can cause a rejection, she added. Verify all insurance and demographic information before the patient presents for the visit, and then re-verify at the time of the appointment, she said. “You need to read the referral,” said Dailey. Many referrals are only valid for 30 days, and practices don’t take the time to update the referral or obtain a new one when it expires or runs out. Failure to validate this information prior to the patient visit causes unnecessary delays in cash flow, she said. A rejected claim is one that doesn’t include the information necessary to determine coverage. Physicians can’t appeal these claims. Instead, they must correct and resubmit them. Dailey urged attendees to cease auto-resubmission for rejected claims. “If you’re hitting resubmit, you’re just delaying your payment,” she added. 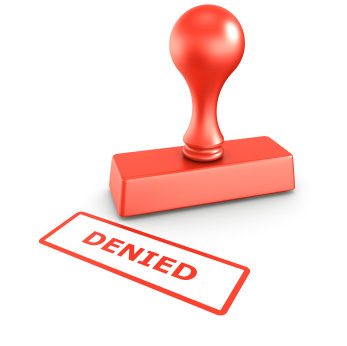 A denied claim is one that doesn’t meet coverage criteria. For the most part, physicians can appeal these claims. Some denials, such as those for deductible/coinsurance issues, benefit limitations, benefit exclusions, and membership issues, are not appealable. She reminded attendees that carriers often have specific requirements to use their own forms and/or submit via an online portal or other method. Non-compliance can yield additional denials. 3. Take a thorough approach. Check to make sure that all documents are legible before sending them, said Dailey. Follow up within 15 days of submission, and note the name of the individual with whom you speak, she added. Dailey reminded attendees that insurance contracts are between the patient and his or her carrier. When claims aren’t paid, practices should therefore involve the patient in the process, she said. Establishing a financial policy is critical. This policy should describe whether and within what timeframe patients will be billed for non-covered services. Some practices debit a patient’s credit card if the claim isn’t paid within 90 days, she said. Ensure that patients read and sign this policy annually, she added. Start with the Explanation of Benefits (EOB), said Dailey. “The EOB includes so much information. You’ll be surprised what you find on it when you go through it,” she said. Pay close attention to Claim Adjustment Reason Codes (CARC) as well as Remittance Advice Remark Codes (RARC), both of which provide greater insight into the algorithms that cause the denial. RARC may vary by carrier. Dailey urged attendees to track and trend these codes over time to identify vulnerabilities. She suggested running weekly and monthly reports by carrier. Then perform staff education, as necessary. She also said to be aware of RARC code MA63 (missing/incomplete/invalid principal diagnosis code). Some practices may see this code appear frequently due to the added specificity in ICD-10, she added. With the reimbursements coming under severe pressure, it is incumbent on small practices to adhere to the non-nonsense tips provided above and better manage both claim rejections and claim denials. It costs $25 to $30 to manage the average denial, according to the Medical Group Management Association (MGMA). You need to shift from a system designed to “work” denials to a system that is designed to identify the denials that can be prevented and to take meaningful action in improving upfront revenue cycle processes. Why not save some money for your practice?